Home to familiar house plants and Chihuly's "Persian Pool"
Houseplants gone wild! Indoor gardeners are sure to find something familiar here, as many aroids are popular houseplants. Aroid refers to a certain type of flower structure made up of a modified leaf (spathe) and a stalk of tiny flowers (spadix). The reason why many aroids find their way into our homes and indoor spaces is because they are particularly tolerant of low light. You can see evidence of their adaptation to low light by looking at their leaves. 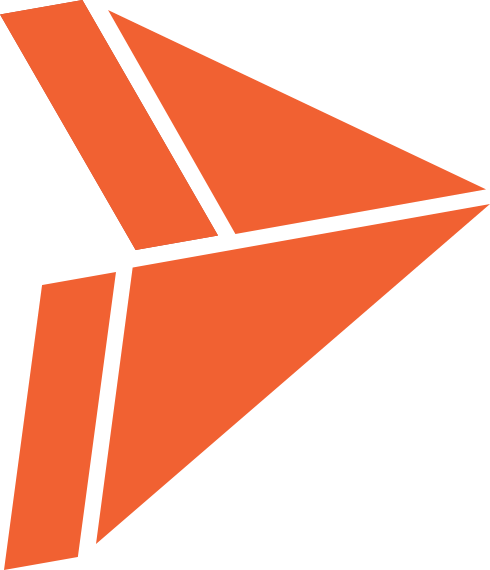 Large, often arrow-shaped leaves capture additional sunlight. You may also find that the undersides of an aroid plant’s leaves are darker than the tops, indicating that the dark underside reflects light back up to the top portion of other leaves. Many of the low-growing plants in this room are the ones that, in the wild, would be found growing on the floor of a rainforest- a place that receives very little sunlight. It’s hard to miss the Persian Lilies when you’re in the Aroid House as they sit majestically amongst the Koi fish and dominate the view to the waterfall in the East side of the room. These beautiful glass sculptures are remnants from the 2001 exhibit at the Conservatory of renown glass artist, Dale Chihuly. Following the end of his exhibit, which created much publicity and brought record attendance to the Conservatory, the Chicago Park District organized to purchase these pieces for our permanent collection. 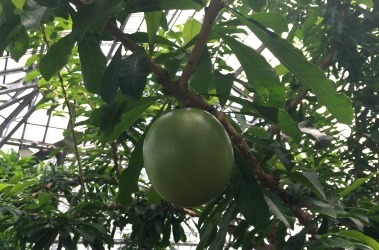 The Calabash Tree is an interesting specimen and often mentioned for its large round fruits. Interestingly, in order to grow such gorgeous gourds, the flowers of this tree must first be pollinated in some way. To attract its bat pollinator, the flowers of this tree emit a slightly rotten odor. Due to its location inside the Conservatory, this Calabash is unable to attract its bat pollinators, regardless of how stinky it can get. Instead, the floriculturist who cares for the Aroid House must pollinate these flowers by hand. Do you notice anything familiar about this plant’s name? 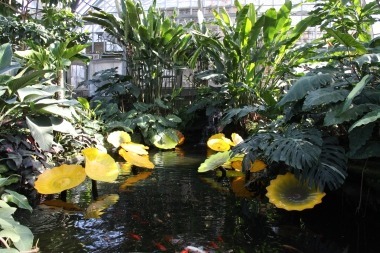 It’s not a coincidence that we at the Garfield Park Conservatory have a Garfield anthurium on site. 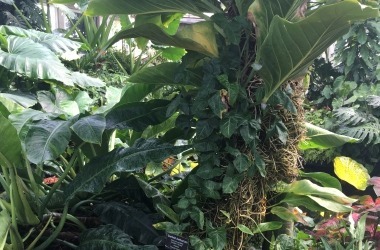 This plant actually came into existence at the Conservatory when former Director Augustus Koch hybridized two existing plants to create this one in the first half of the century. He named it for the Conservatory, as this place was his inspiration and laboratory.